Who is My Fairy Dog Mother? 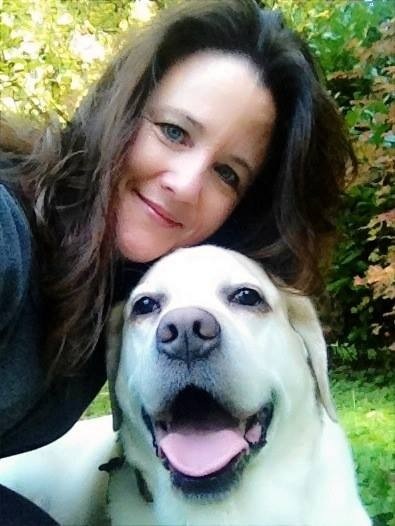 Eve opened My Fairy DogMother in 2006 after training her yellow lab, Lewis, to be a service dog. 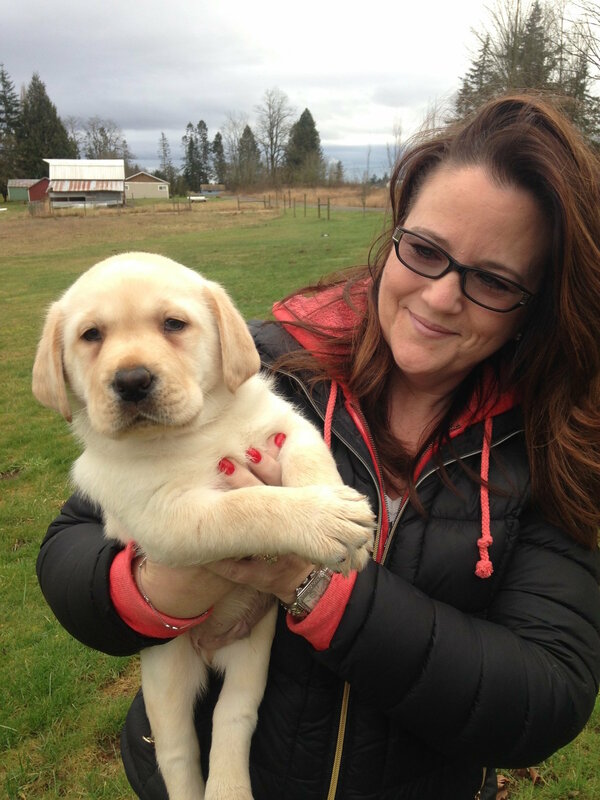 Her ultimate goal with private training is to make sure each puppy has a better chance at a forever home. For as long as she can remember she’s always had a special connection with animals. What’s really remarkable though is that animals seem to have the same attraction to her. It’s as if they seek her out, or perhaps are guided to her. Eve has rescued many animals, not just dogs and cats, over the years; if she sees an animal in need she can’t just stand by. Animals have always been a large part of Eve’s life. She is deeply devoted to them. An animal in her care will not find a better place. Her heart is giving to them to provide for their comfort. In her home there is always room for another. Those that are lucky enough to live with her are showered with love. She wishes she could help all animals. It is that drive that compels her to do well for them. If she can’t be there for all of them, she’s going to be there for as many as she possibly can. Adelle is Eve’s daughter. She has grown up with the business; going to many private lessons and helping with dogs at the house. 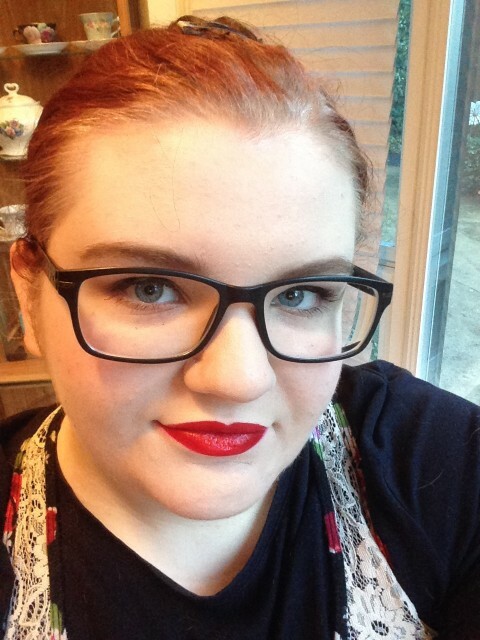 She is an animal lover like her mother and really enjoys playing with the puppies. 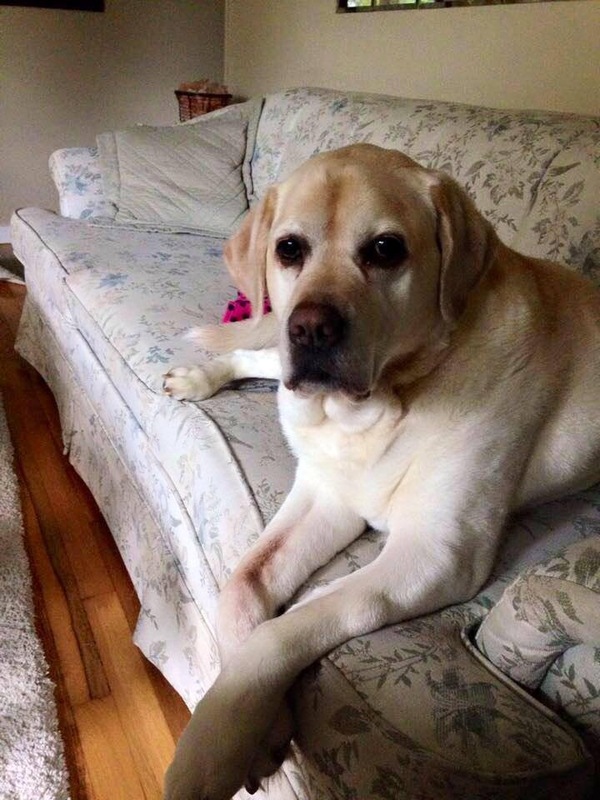 Lewis is a English bred yellow lab. He is a trained service dog and has been a Reading with Rover therapy dog. He loves everyone; people and puppies. Eve always says she is his trainer but he is her teacher. Lewis has had an old soul and it showed since he was eight weeks old. He has a calming influence and can teach the puppies things us humans can’t. Update: We lost our sweet Lewis on May 24th 2017. He was 12 years old and leaves the best legacy ever. He has helped train many puppies over the years and is the reason Eve does what she does today. He is greatly missed. dogs and puppies that stay here. Such a good boy and leader dog! 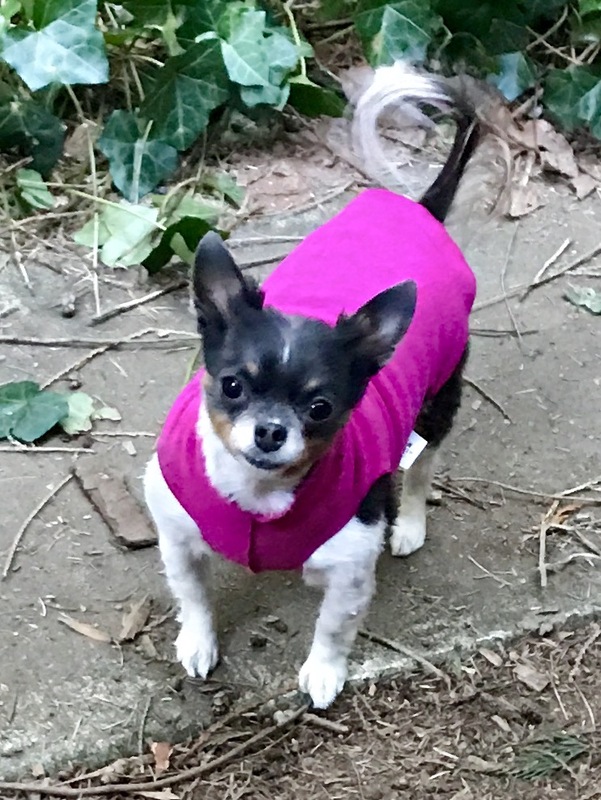 Annabelle is an extremely sweet teacup Chihuahua who weighs a WHOPPING six pounds and has a super-sized personality. When Eve rescued her she only weighed one pound. Eve knows how hard it is to properly socialize a toy breed puppy and Annabelle is perfect to help with this; she is very social but gives corrections when needed. Linus is our newest family member. 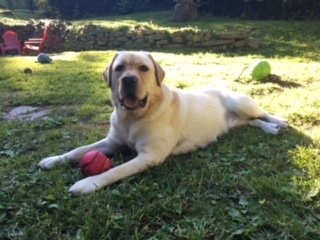 He is a sweet English breed yellow lab. 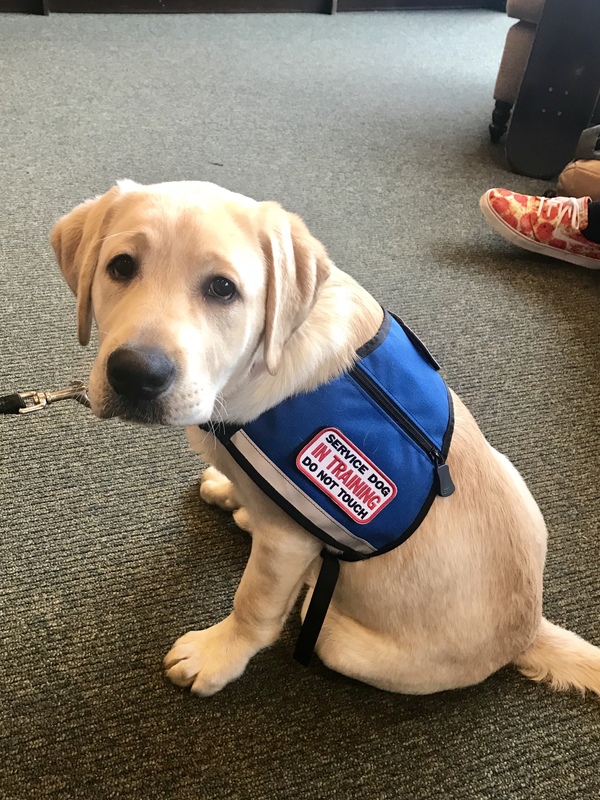 He is training to be Adelle’s service dog and is exceeding all our expectations!